Join us for a fun evening to help raise funds for M-NASR! 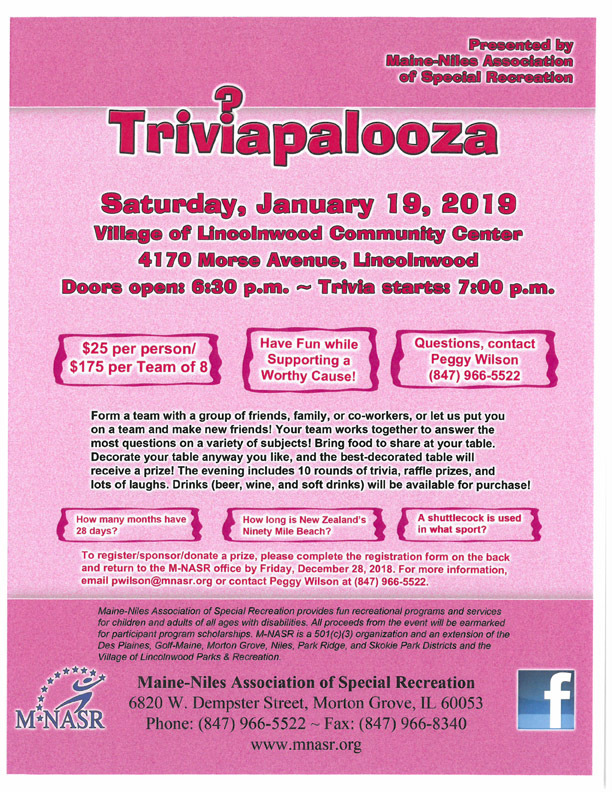 On Saturday, January 19, 2019, M-NASR will host its third annual trivia night. It's an evening of trivia, raffle prizes and lots of laughs! 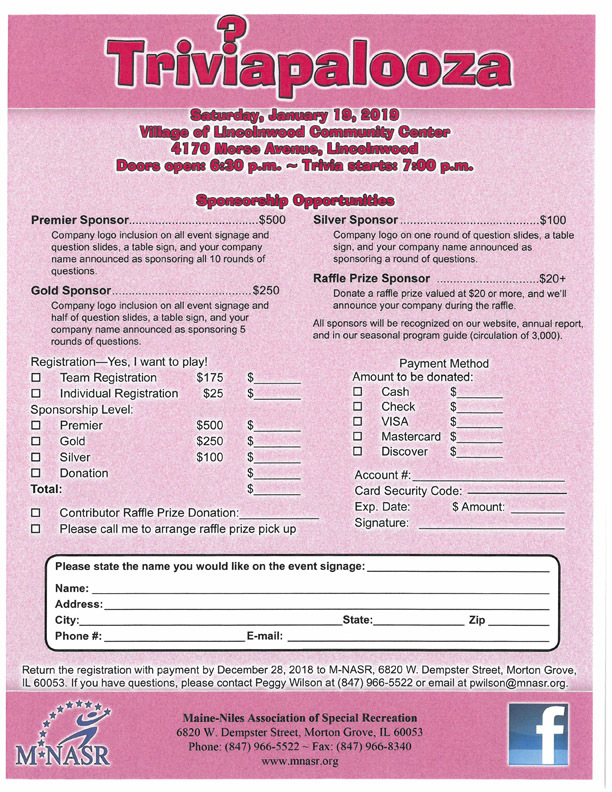 For more information, contact Peggy Wilson, Development Officer, at (847) 966-5522. Ever want to help a GREAT effort? Here's a GREAT chance! Giving recognition for efforts above and beyond the norm is a worthy endeavor. Giving heartfelt thanks for needed help in serving our neighbors with disabilities is also a worthy endeavor. The Maine-Niles Association of Special Recreation’s Annual Recognition Night is one of our most heartwarming events. At this awe-inspiring celebration, we provide an opportunity to shine a deserved spotlight on amazing personal achievements of some of those we serve while also thanking one donor and one volunteer. 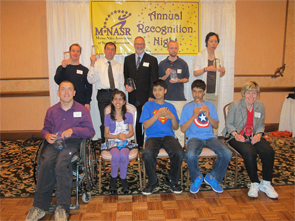 You can help M-NASR by being a sponsor of our annual Recognition Night. Sponsors are sought to help fund the complimentary tickets we give award winners and two of their guests as well as other needs of the event. Contact our Development Officer for details, as we assure great recognition for sponsors, too! 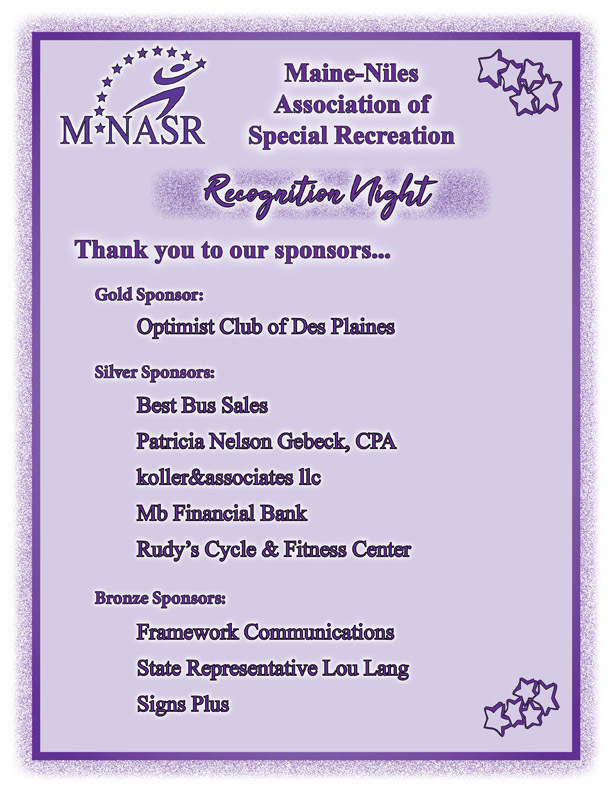 Sponsors simply make a huge difference to people spotlighted at Recognition Night! They make this unique opportunity possible for those we serve and those providing our services to come together for a night of camaraderie, lots of “feel good” and, of course, dancing! Don’t be on the outside looking in. Contact us today for more information about Recognition Night. You will be happy with what you learn. Thank You Recognition Night Supporters! Guests, you made the event a success!